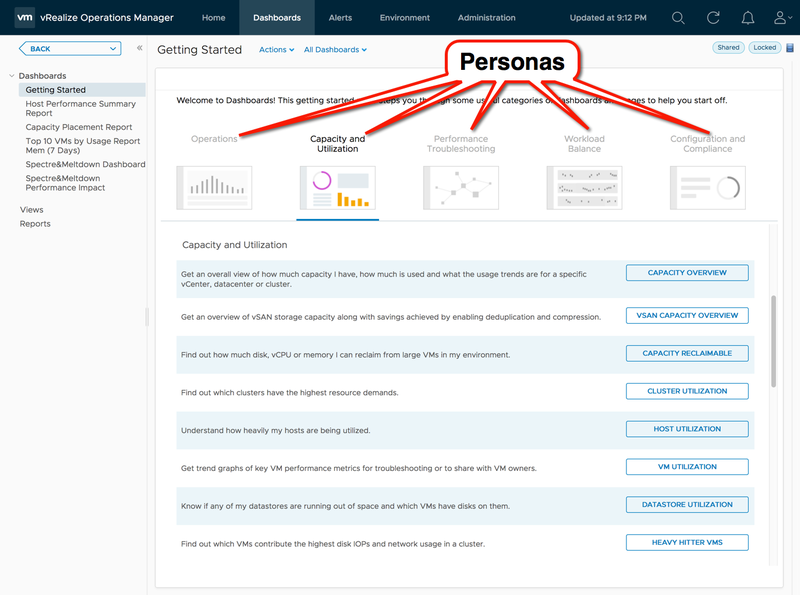 Persona-based dashboards provide answers in one place. 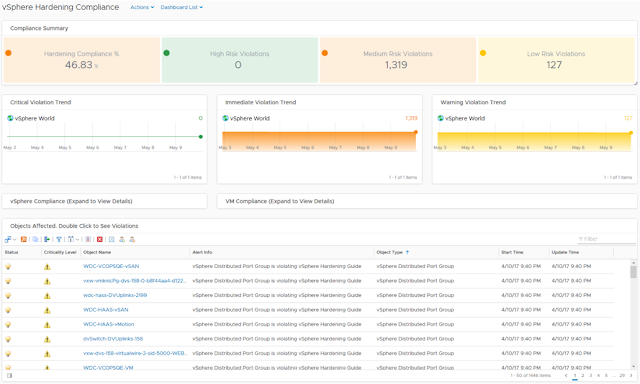 Dashboards are separated into categories such as Operations, Capacity and Utilization, Performance Troubleshooting, Workload Balance, and Configuration and Compliance. Ensures performance across the datacenter's with fully Automated Workload Balancing, across Clusters, and across Datastores. Ensures DRS Configurations and provides the option to view and set DRS automation level for individual objects to deliver better balance. 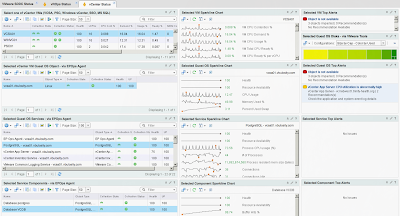 Predictive DRS takes action to preempt and avoid resource contention. 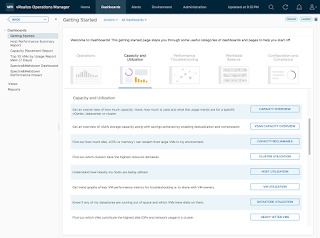 Utilizes operations analytics to optimize initial placement of workloads through vRealize Automation based on business needs. 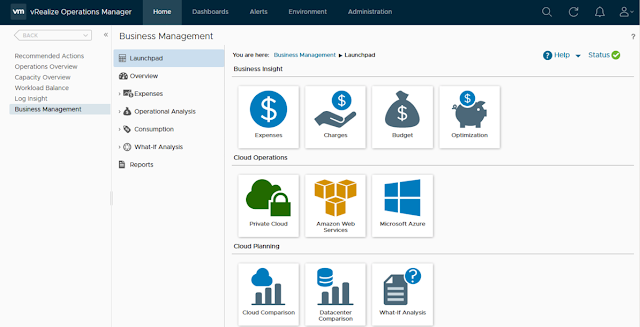 vRealize Automation Management Pack is included OOTB. Coverage for stretched clusters, deduplication/compression, resync traffic. 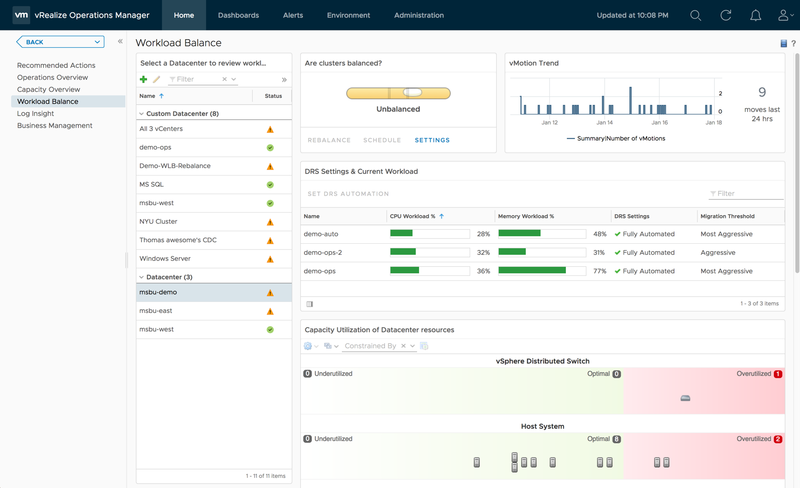 Ensure vSAN readiness from a single console. 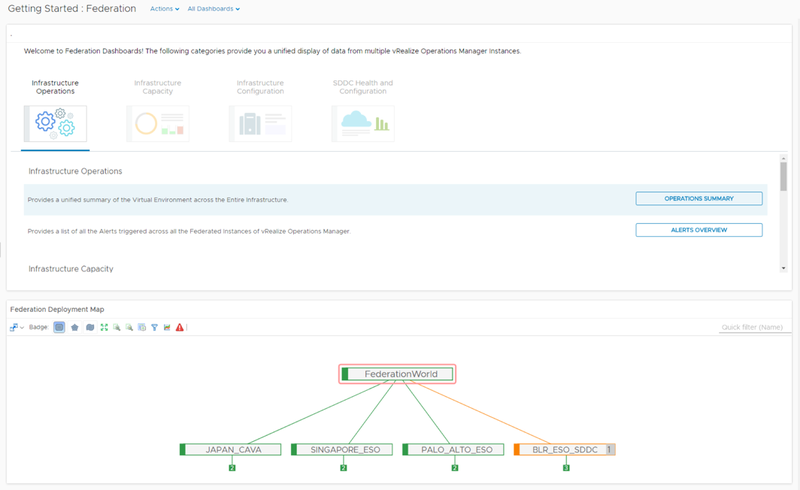 Deploy and manage vSAN with confidence with complete visibility down to individual physical disk level. 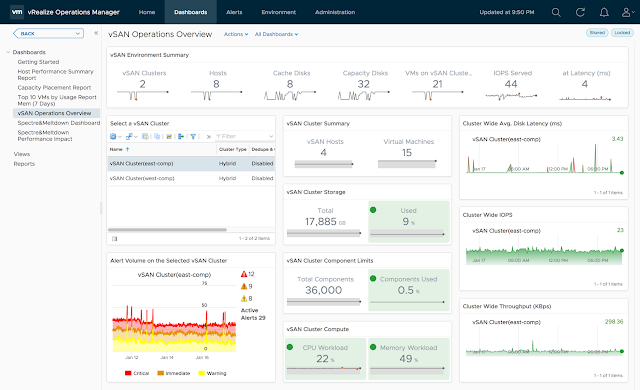 Operationalize vSAN with performance and capacity monitoring. 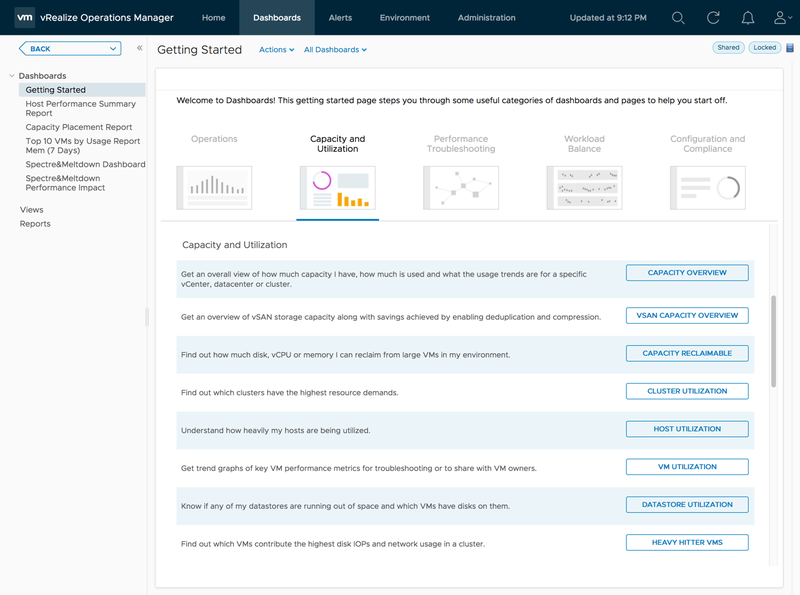 Complete vSAN management, which includes administering performance, capacity, logs, and configuration and health. 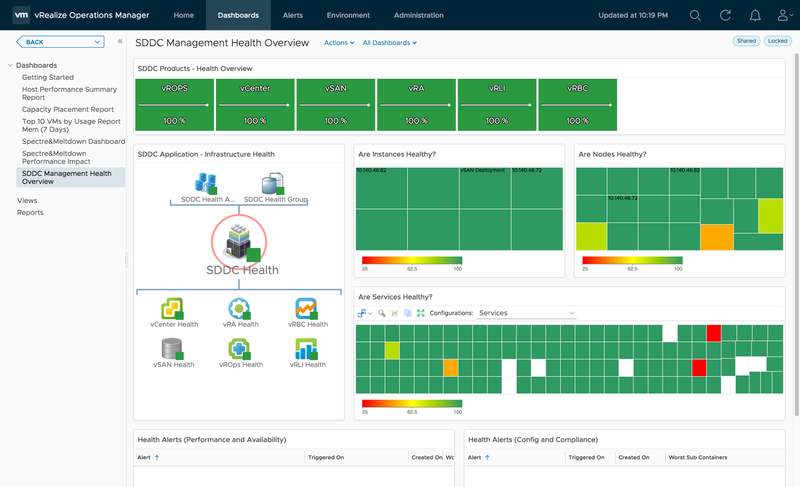 SDDC app oriented views with Health status for each product. 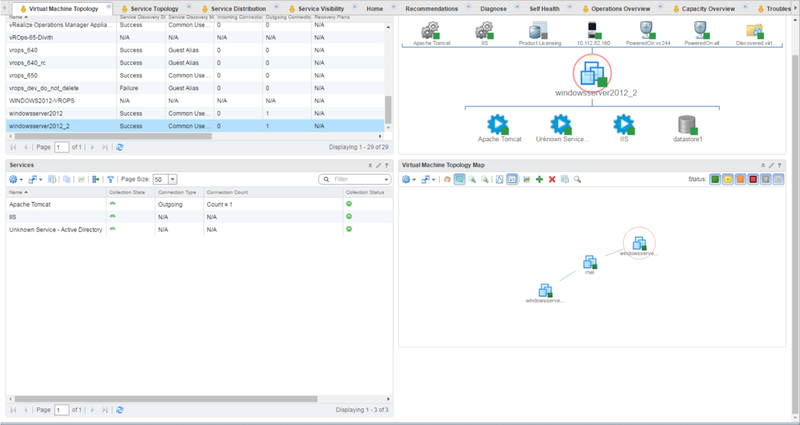 Correlation of SDDC app component to the underlying infrastructure health deployment instance and corresponding VM health. 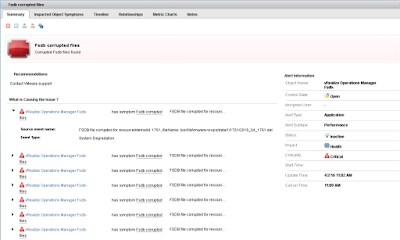 Enhanced OOTB Health and Compliance Alerts with Recommendations. 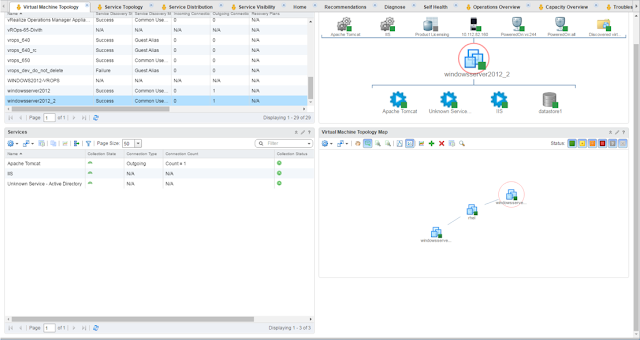 Discover and list services and display the relationship between selected service and other services on other VMs. Ability to create reports for capacity and configuration for the Senior Executive and exporting of data out of vROps. 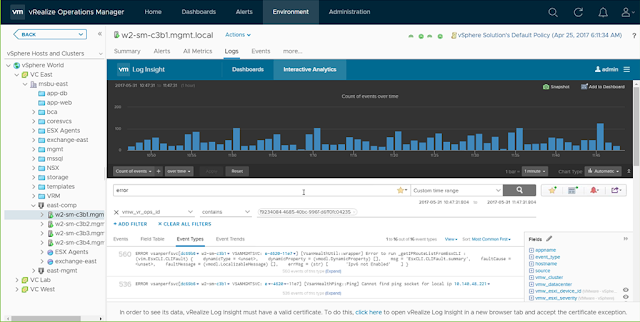 Faster troubleshooting in vROps with in-context logs from vRLI. Direct launch of Log Insight Dashboards. 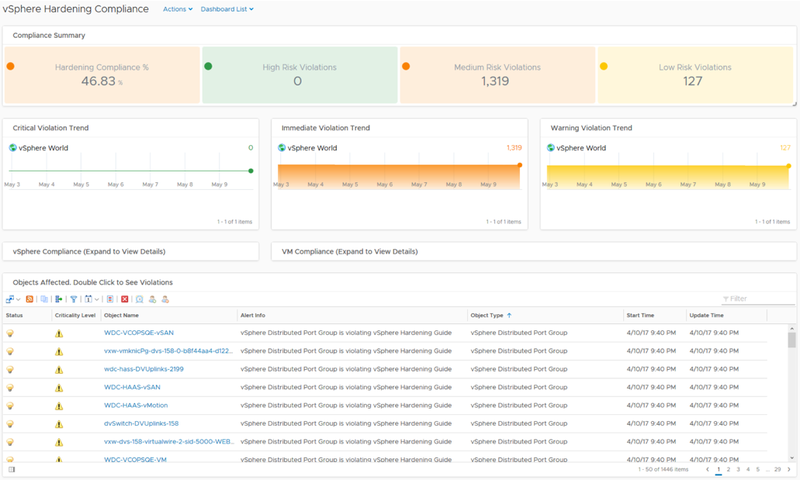 Direct launch into Log Insight Interactive Analytics. Cost analysis for all services on AWS and Azure. 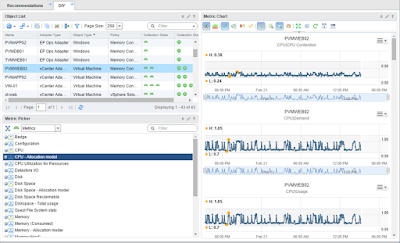 VM Level usage visibility into public clouds. Fine-grained cost analysis for private cloud.